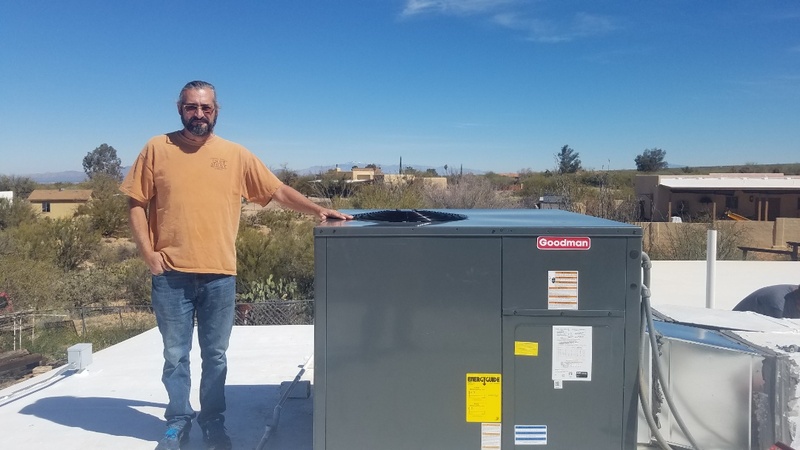 Able Refrigeration provides air conditioning and heater repair, service, installation and services in Tucson, AZ and surrounding areas. Problems with our 32-year old heater began a few days before Christmas. I had used Able's services for our cooler some years ago with great success, so I called them. Mia and Laura were very helpful with information and scheduling. The technicians arrived on time as promised and got to work immediately. 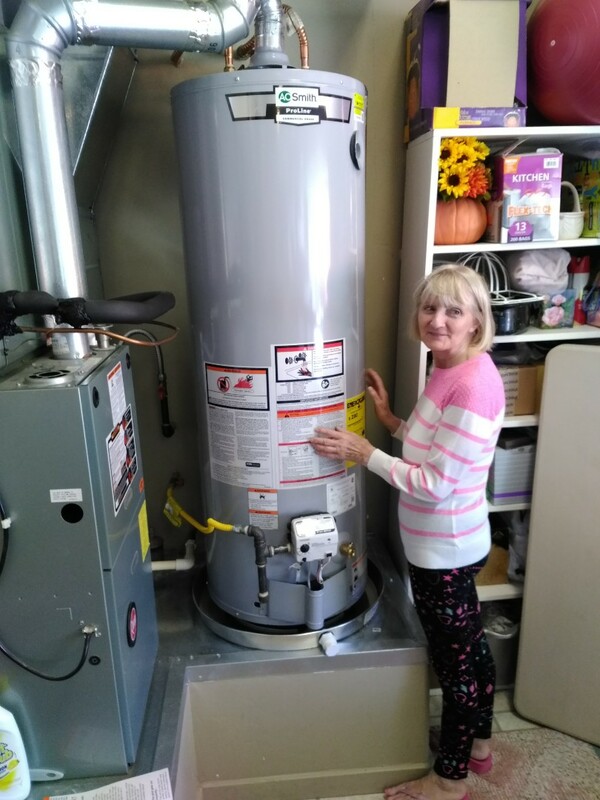 They kept me informed of what they were doing, answered my questions, and kept my house clean while they removed the old heater and installed the new one. They thoroughly tested the new heater and invited more questions. The heater is efficient, quiet, and clean, and has kept us very comfortable from the holidays through the extended February cold snap. Thanks to everyone at Able we look forward to many more comfortable winters! always been dependable and friendly. Maintenance & equipment issues at our home were identified & needed repairs/ installation were completed right away- Able’s knowledge of code requirements & work standards was excellent. I will DEFINITELY call Able Refrigeration again for any air conditioning repairs. They were prompt, and did excellent work. The office staff was very courteous. Good experience! The technicians were very thorough. Completely satisfied. Great Service and very happy. Love the fact that they call ahead (gives me time to lock up dogs) plus they always show me why a part is bad before replacing it. Showed up 30 min early, knocked on door while I was in shower. Didn't call or leave voice mail. When he finally noticed that I had left open the front door to signal him, asked me "Have you been home the whole time?" Stayed on roof what seemed a very long time. brought me a capacitor to show me what he replaced. I was surprised at the total. Seems that the yearly contract had increased significantly and I owed and additional $100 for the replacement of the capacitor. Totaled $316. Been a customer for years and have never been disappointed. The service was prompt and good. The only drawback was the cost, considering today's prices it was fair. On time, respectful, explained all work clearly. Everyone I dealt with was patient and kind. Most of all not condescending. "An Honest and Reliable Company!" For almost 7 years I have been a customer of Able Refrigeration. They inspect and service my heating/cooling system on a yearly basis. They are honest, reliable and here within the time frame given. Their service techs are courteous and know what they are doing! Also, they do not "surprise" you with phony equipment problems or unnecessary add-on services like some other companies try to do. This is why I highly recommend Able Refrigeration to my friends and neighbors. The owner of Able Refrigeration was willing to work with me to make sure I got the AC unit I wanted, configured in a way that suited my preference. He did not try to talk me into buying a larger, more expensive product than I needed. Many of my neighbors have ended up with unsightly dual units on their roofs. That is a convenience for the installer and is more expensive. Ron and his great crew worked hard to make sure I received an AC system under the roof and behind the house. It was not easy, but they got the job done. I now have a reliable, ten-year warrantied Goodman Compressor and coil as well as a great relationship with an honest company. Your company installed our Coleman furnace in April 2003 and has given us quality service when they have come out to fix our furnace through the years. We were surprised with the cost of the labor for not having the part with them and to go and get one. But overall they done a satisfactory job again. Working on a split carrier a/c. Seasonal start up of a 5 ton unit. Demo 2 so let water heating panels and tank replaced a run capacitor and compressor contractor, on the a/c unit. Servicing Rheem equipment on the Theta Chi Frat House - all new Maintenance Contract. Repairing a Meridian Gas Pack A/C unit. Carrier Air Conditioner Unit, Summer maintenance. 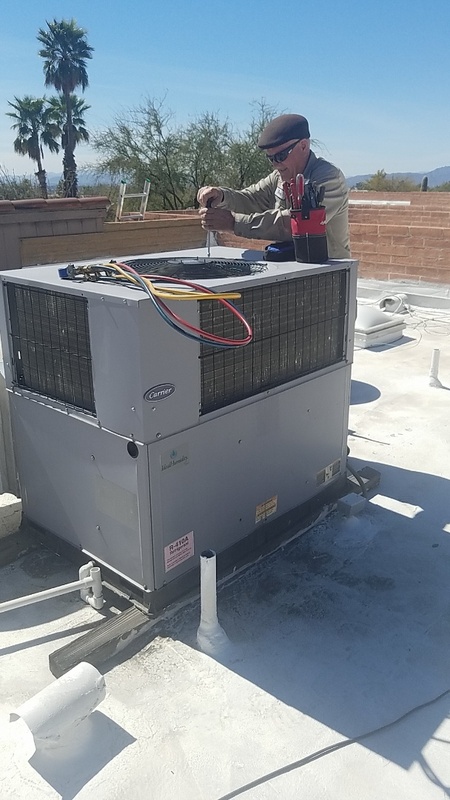 Cleaning the coil on a Nordyne unit up in the Foothills of Tucson. Giving an estimate to relocate a washer and dryer at Crescent Manner Mobile Home Park. Checking out a Trane Split Gas A/C unit. Giving a Diagnostic 2nd opinion for a customer. INSTALLING A NEW GOODMAN PACKAGE HEAT PUMP IN THREE POINTS. Riding along today...gettin' some sun! We're in the Foothills performing a Summer Maintenance call. Servicing a Carrier Package Heat Pump with routine maintenance in the Foothills. Out in Three Points, Az today installing a Day & Night unit. Working on a nordin a/c unit ,replacing a run capacitor. Preparing a theme heat pump. adding a new return air grill to the ,intertherm heater,a new door was added ,did not provide enough air. Working on a day & night split heat pump. Working on a split air conditioner, change out today in east Tucson. Replacing their Rudd units with an environment friendly Goodman 410A unit. 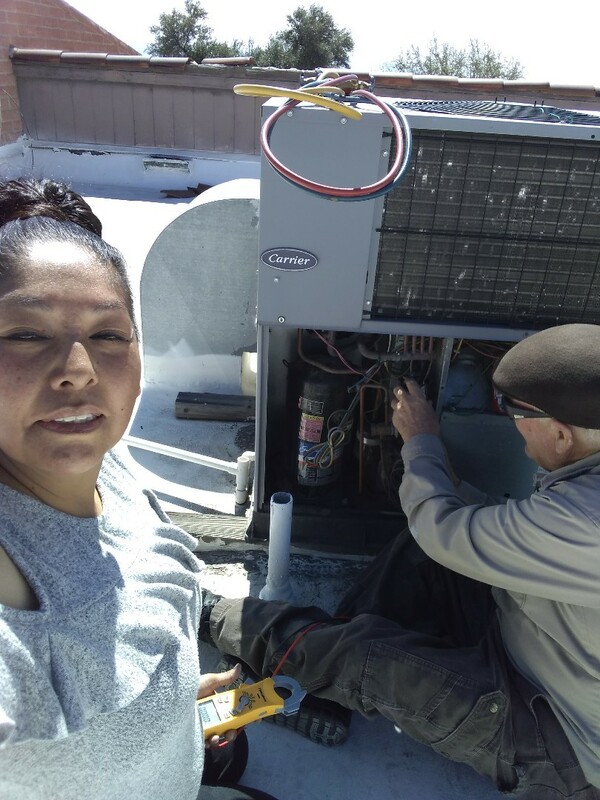 Ensuring our customer's are happy...following up with a Maintenance Customer in Desert Pueblo Mobile Home Park. Installing a Bradford White Water Heater and replacing the flooring under it. Following up on a Thermostat having wifi connection issues. Delivering custom made air conditioning filters. Servicing one of our local businesses in Central Tucson with a gas problem. 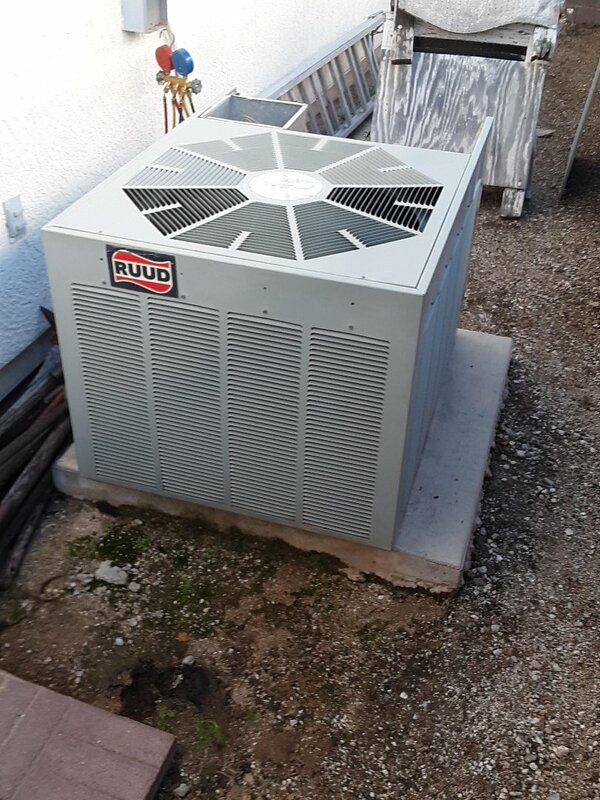 Installation of a Goodman 3 Ton 14 Seer Gas Pack in Tucson Estates. Working on an estimate for an Electrical Repair/Upgrade.